Apollo Bay is a coastal town in southwestern Victoria, Australia. 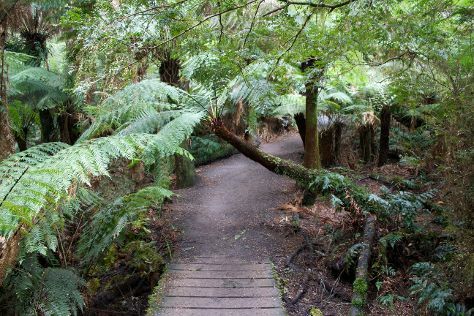 On the 14th (Mon), hike along Great Ocean Walk, take some stellar pictures from Mariners Lookout, and then delve into the lush surroundings at Mait's Rest. To find reviews, where to stay, maps, and tourist information, use the Apollo Bay trip itinerary planning website . Singapore, Singapore to Apollo Bay is an approximately 14.5-hour flight. The time zone difference moving from Singapore Time to Australian Eastern Standard Time (Victoria) is 2 hours. Finish your sightseeing early on the 14th (Mon) to allow enough time to drive to Port Campbell. Port Campbell is a coastal town in Victoria, Australia. Kick off your visit on the 15th (Tue): explore the wealth of natural beauty at Port Campbell National Park. On the 16th (Wed), you'll have a packed day of sightseeing: make a trip to The Grotto, take in the dramatic natural features at London Bridge, get great views at Loch Ard Gorge, then explore the striking landscape at The Razorback, and finally make a trip to Gibsons Steps. To see more things to do, photos, reviews, and other tourist information, use the Port Campbell online trip itinerary builder . Traveling by car from Apollo Bay to Port Campbell takes 2 hours. Alternatively, you can take a bus. Finish your sightseeing early on the 16th (Wed) so you can drive to Torquay. 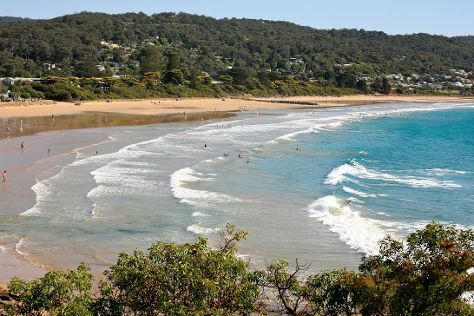 Kick off your visit on the 17th (Thu): take a peaceful walk through Lorne Beach. 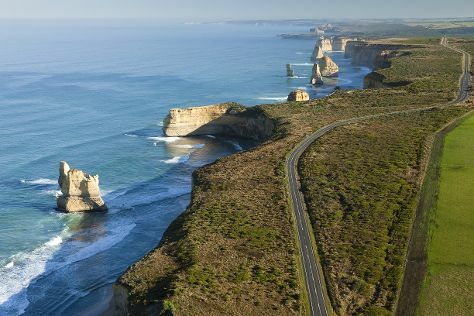 Keep things going the next day: see the interesting displays at Australian National Surfing Museum and then cruise along The Great Ocean Road. To see maps, more things to do, and other tourist information, you can read our Torquay road trip site . Traveling by car from Port Campbell to Torquay takes 2.5 hours. Alternatively, you can take a bus. In September, daily temperatures in Torquay can reach 20°C, while at night they dip to 7°C. You will have some time to spend on the 19th (Sat) before leaving for home.